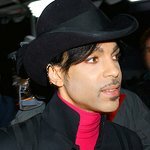 On 07/07/07, Prince and Revelations Perfume and Cosmetics are to launch the 3121 fragrance with a surprise in-store concert and 24-hours of charity fundraising. The philanthropic event begins at 12 am EST, at which point the 30 ml bottles of 3121 will be available for purchase at www.3121perfume.com. The 3121 collection will also be debuting at select Macy’s stores. The fragrance will retail for $31.21, with 7% of each sale being divided between 7 charities chosen by Prince and Revelations. 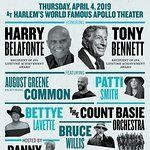 The charities benefitting from the event include City of Hope, Jazz Foundation of America, H.A.L.O., Elevate Hope Foundation, Urban Farming, The Bridge and Edith Couey Memorial Scholarship Trust Fund.